Google has started to push out an update to the Play Store for Android with version 3.10.10. The difference in size compared to the previous version 3.10.9 from about a month ago is about 1.5KB, and after ripping through the APK, I found no significant changes. There are some tweaks to the in-app billing, checkout, and authentication code, but from what I can tell, this is a bug fix release. 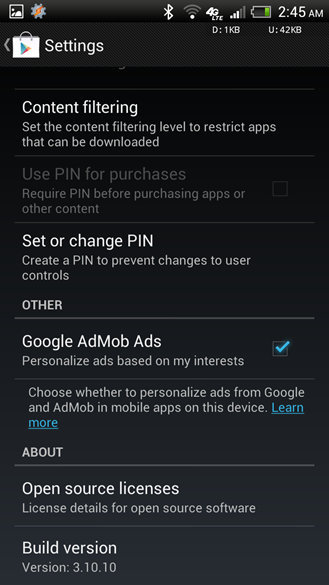 The APK is signed by Google and installs on top of your existing Play Store. It's safe to install if you'd rather have the latest version without having to wait for Google to randomly push it to your device. Download and install it just like any other APK. 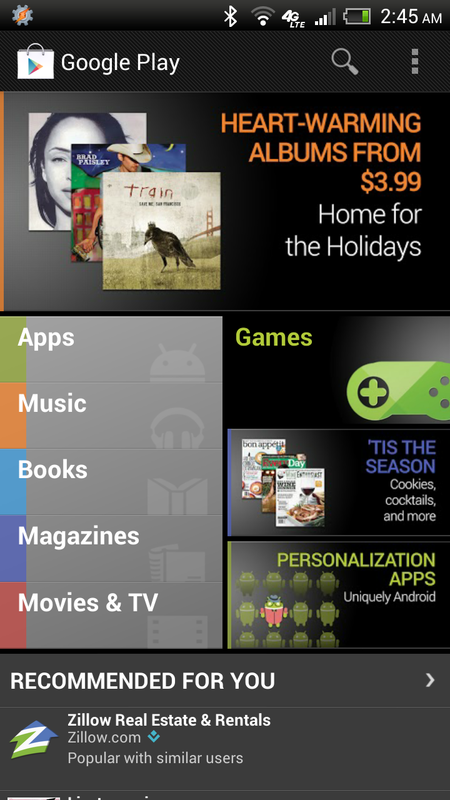 I cant believe how incredibly crappy the Google Play Store continues to be!! Every update I hope for something significant but nay. Its still missing the most basic and simple things such as sorting and filters, and the fact that I still cant view just my purchased apps is mind bogglingly ridiculous!! He's doing everything in his power: complaining. It will never get fixed if people aren't vocal about it. That's why 9 times out of 10 if I'm looking for something specific I just go to play store online. I agree. And I wonder why we can't customize the app like any other app. It still looks like very much Gingerbread to me. Not to speak of not being able to browse list of 'all apps' without getting to the top of the list after deselecting an item from it. Actually you can. You can access it from the option button -> My Apps it display your Store installed apps. Either way you can check it from the web as Mark Smoker suggested. Not necessarily. /datadata size varies from phone to phone and can be a different size then /data. True, but the bug that I occasionally experience isn't actually related to the amount of storage available. For example, this morning I updated a number of different apps. The second one wouldn't updated, saying "Insuff..." but the next 3 (bigger) apps would. I had to reboot and wipe the Dalvik cache (after trying a bunch of other options) before it would update. I got that bug the other day. Went to install/update something, gave me that error. Tried again 5 seconds later, without changing/deleting anything, it installed fine. sometimes you have to do all sorts of things to get it to update. There are a bunch of different "fixes" online, none of which have worked consistently. Hopefully one day they will have a section that just had purchased apps in the MY APPS section! Annoying going through loads of rubbish to find purchased apps. I love the Play Store, but I only want 1 thing from it. On tablets, there is no point showing permissions for updates, in the right pane. They should switch it to a whats new section. I hate having to go into every single app individually to see whats changed. I think this update just enabled Magazines in the UK. They're working for me! Are there instructions for getting this on Kindle Fire hd without rooting it for dummies? I don't have any other android devices. Or even if I can get this on my pc would help. I'm a complete tech airhead. (plug and play as it were) Though do know how to sideload with es thinger. looks like you will need to root. i went at looked at the process here. seems pretty straight forward and harmless. in my experience... before you go past step one (installing the drivers), you need to make sure your pc sees the adb in hardware devices and there are no yield or exclamations on the kindle name in the devices also. once you get those... its easy and everything will work the first time around. but getting those drivers to 'gee haw' together sometimes requires multiple installs. They need to make more apps like the G+ app. Thanks for the apk files directly available thru adroindpolice. Perhaps it is just me, but on the menu button, does my apps not show up anymore? Or maybe it is just inconsistent. Old: Google Play is now connected with Google+ to help you find reviews you trust. New reviews will be posted publicly using your Google+ name and picture. Your name on previous reviews will appear as "A Google User." New: Google Play reviews now use Google+ so it's easier to see opinions from people you care about. New reviews will be publicly linked to your Google+ profile. Your name on previous reviews now appears as "A Google User." The "easier to see opinions from people you care about" text is interesting. It currently does not weigh reviews from friends any higher than reviews from strangers, right? This makes it sound like it will in the future. Well this update seems to have cured some of the horrible lag issues. That's a start. Why does google play have to be so complicated...... geez. The new Google Play Store currently doesnt run on my device (Samsung Galaxy Note 2 N7100). Is there any way to fix so that it will run properly as normal? And also the Gmail app, too. I've been restarting my phone but still nothing works out. Please leave a comment if anyone knows a solution. Thanks! In my hcl me tab goole play is not working.......plz help me what can l do??? Right I keep attempting to go on play store on my Android and it keeps saying no connection why's this? It wad only the other day I was downloading and now I can't use it at all I keep pressing retry but nothing happens???? This app crashes as soon as it tries to open. Am I doing something wrong? Pls help. I need to install google play store on phone the phone remotely. Is there anyway I can do it without having the phone with me. Thanks in advance.. I bought this used phone as a gift. When I sent it overseas I forgot to register it with google play store. 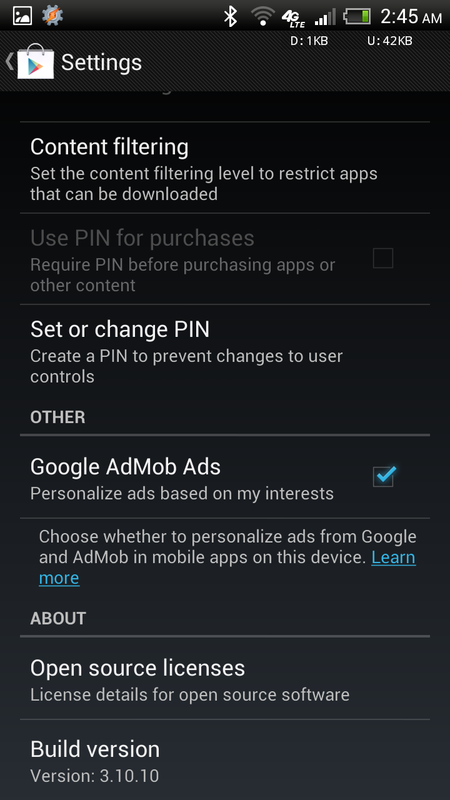 Can I register google play store remotely?